Trust the SUPERIORBAND® Registered Brand Name by SuperiorStretch Products - The Best selling Name in Dance Stretch Products for 6 years running. Now Introducing = SUPERIORBAND ULTRA - PINK. The widest, thickest, most professional Ballet Stretch Band available today. SUPERIORBAND ULTRA is the Serious Latex Ballet Stretch Band for the Serious Dancer. If increased flexibility and increased range of motion are important, this is the band for you. Not a thin cheap copy and Not made in China. This Ballet Stretch Band is intended for the Intensive Dance Workshop Student and the Pre-Pro Ballet Student. 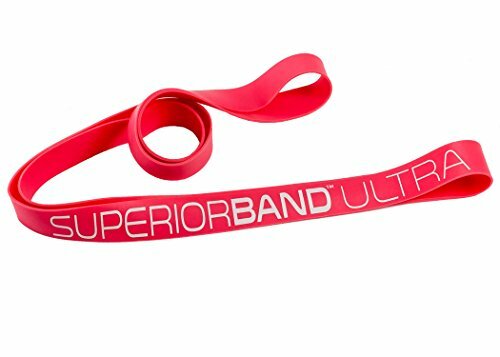 Used by Professionals, NCAA Dance Teams, and High School level competitive dance, cheer and gymnastic students, who know the quality difference and choose SUPERIORBAND. Instructional videos are available from Superior Stretch. If you have any questions about this product by SuperiorBand, contact us by completing and submitting the form below. If you are looking for a specif part number, please include it with your message.